Recently my family and I went on holiday to Wales. For the first 3 days we stayed in Fishguard then for the following 2 days we stayed in Mumbles which is a town right next to Swansea. 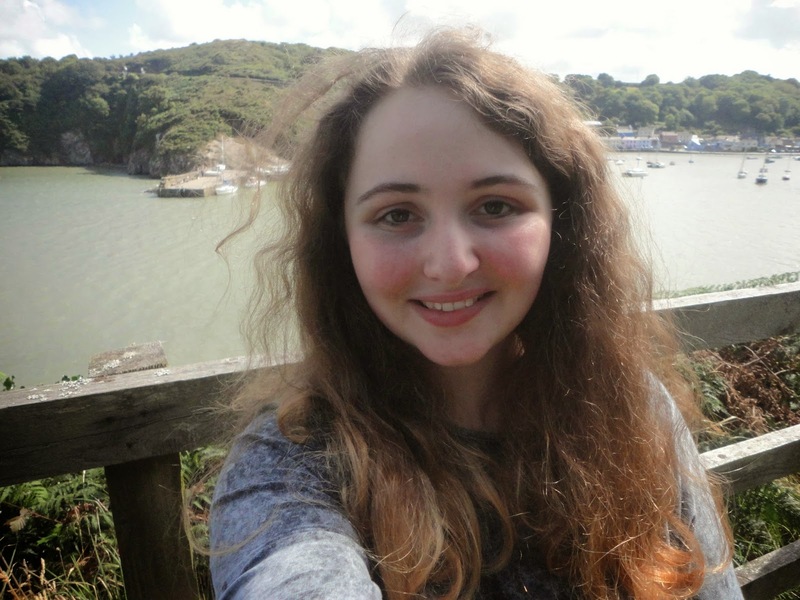 Although Fishguard wasn't a huge place, it had some really nice little shops, amazing views and a wide array of pretty, colourful houses so I did enjoy staying there and mooching around the town. In order to get to the harbour we had to walk down (and then back up later) a massive hill. Despite the walk being very tiring, the views were stunning. Took a smiley selfie by the water but my brother told me that I can't take a selfie smiling. So I decided to do a duck pout and I think the picture looks better for it (*cough*). I loved this stone building with all the little windows. If I ever have a house I would love it to be stone with brightly coloured accents - like a bright yellow door. Love the colour of this house! I have a bit of a thing for yellow and this house is so cheerful. Site of the signing of the peace treaty of the last invasion. Then I ate a Wagon Wheel - such fun! But they are distinctly smaller than I remember them to be. I hope you enjoyed this post and are enjoying the last of the summer. If you could spare a second could you fill out the poll in my sidebar? And anyone who is in the South West over the next week, be sure to check out the event Miriam and I are hosting (link here). Looks like a lovely place- very picturesque! Love your duck pout too haha! And you're right, Wagon Wheels have definitely gotten smaller. Most disappointing! Aw, it looks really pretty! I love the colour of that yellow house as well ha! If that is really you without makeup on, I am insanely jealous! You are gorgeous, girl! And so is the scenery! It looks like such a tranquil place, I hope you had a good holiday. Ahh I remember Wagon Wheels, I haven't seen them around for so long.